Made from 67% natural seaweed, the food has a similar texture to Nori Algae and will soften rapidly when added to the water, instantly attracting herbivorous species. The pellets will sink to the bottom of the tank, so the mix is ideal for bottom feeders. 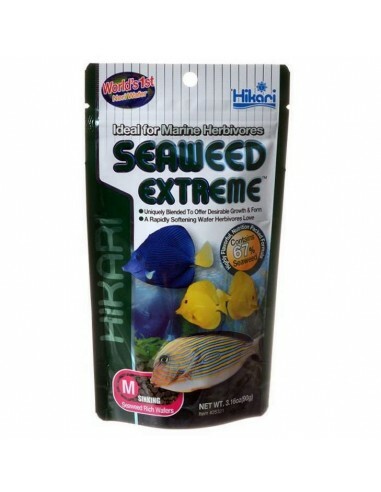 Packed with protein and fibre, the mix is a great supplemental diet for most herbivore fish species. 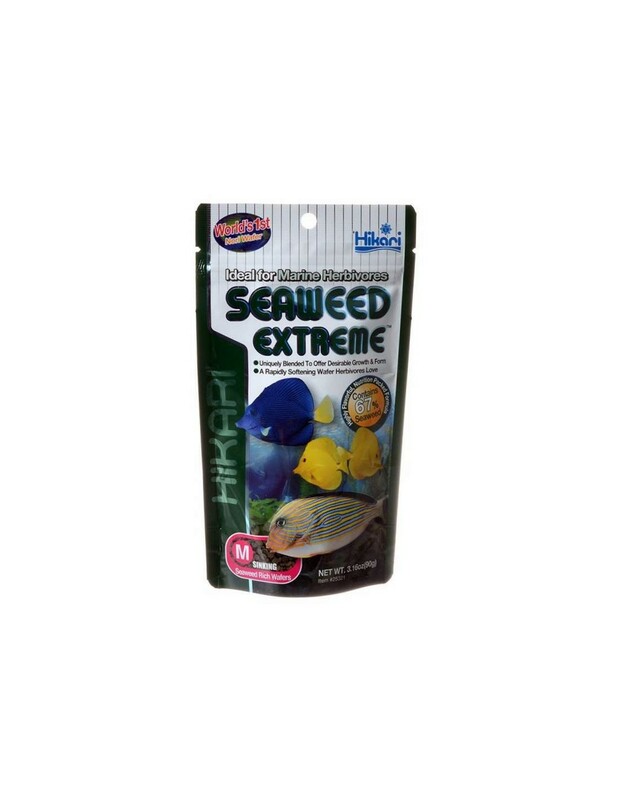 Ideal for feeding all types of marine herbivores including clownfish, damsels and butterflies. Dried seaweed meal, wheat flour, fish meal, krill meal, cuttlefish meal, DHA oil, hydrolized vegetable sucrose polyesters, sodium alginate, brewers dried yeast, lecithin, clam extract, DL-methionine, astaxanthin, vitamins (including stabilised vitamin C) and minerals. Crude protein (min.) 33%, crude fat (min.) 5%, crude fiber (max.) 4%, moisture (max.) 10%%, crude ash (max.) 17%, phosphorus (min.) 0.5%.